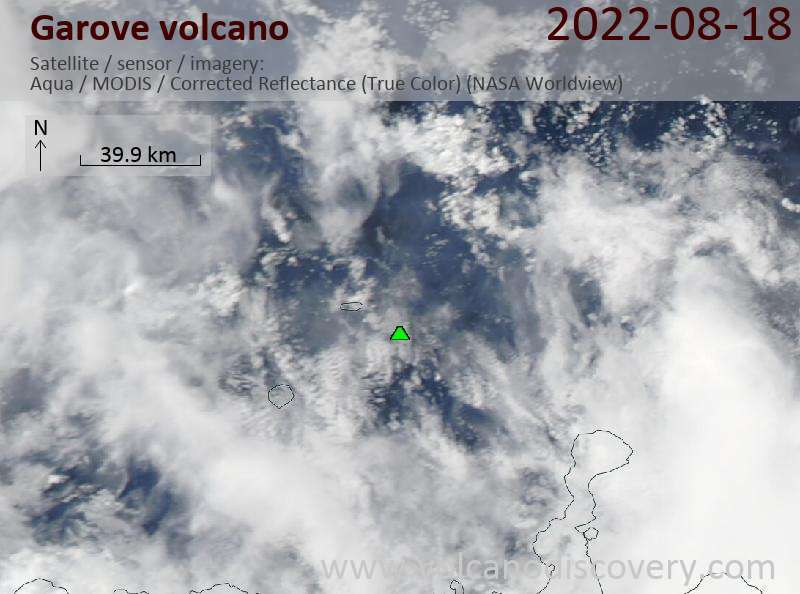 Garove volcano forms the 12 km long and low Garove Island, the largest of the Witu Island group located 40 miles (65 km) north of New Britain Island in the Bismarck Sea. Garove volcano has a 5 km wide flooded caldera open to the sea through a narrow breach on the southern side, where it forms Johann Albrecht harbour. The island has fumarole fields and thermal areas. The low, 12-km-wide elongated island is cut by a 5-km-wide caldera that is flooded by the sea through a narrow breach on the southern side of the island, forming Johann Albrecht harbor. The steep-sided caldera walls rise 100-150 m above the sea. Satellitic cones were constructed along the NE and SW coasts. No historical eruptions are known from Garove, but the preservation of fresh lava flow structures on the NW coast suggests an age as young as a few hundred years (Johnson and Blake, 1972). The Witu (or Vitu) Island group is formed by of the emerging tops of Pleistocene to Holocene volcanoes N of western New Britain. It covers 45 square miles (117 square km) and includes the main islands Garove (26 square miles), Unea (11 square miles), and Mundua (2 square miles), as well as 5 smaller islands. 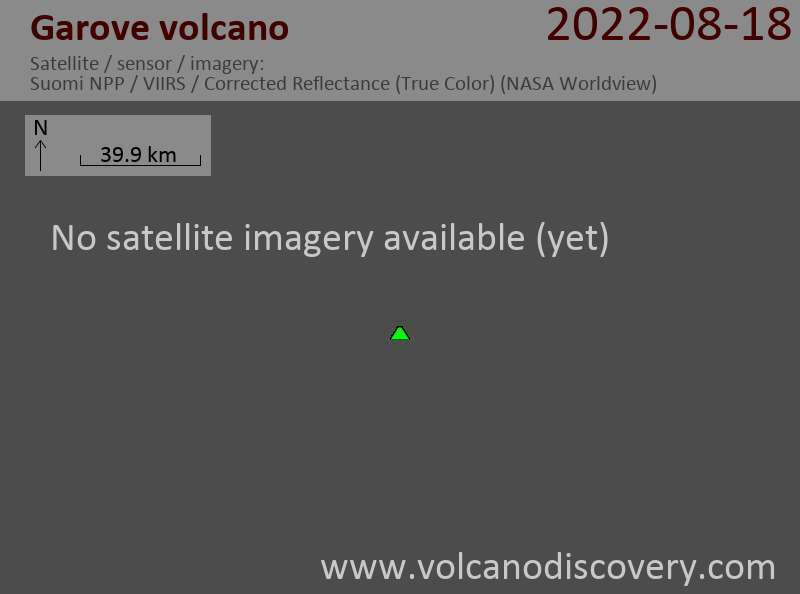 Garove's volcano is probably still active, while the other islands might be extinct.